Amazon Studios and IFC Films have announced that the U.S. theatrical release date for Matthew Heineman's stunning documentary CITY OF GHOSTS will be July 14, 2017. Additionally, the film will have its initial New York premiere at next month's Tribeca Film Festival. 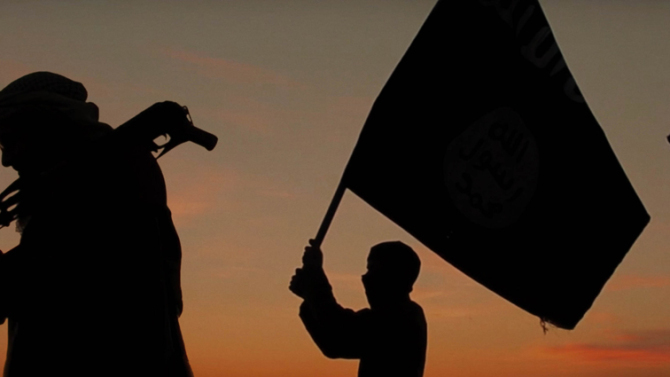 Directed, produced, and filmed by Academy Award–nominated and Emmy-winning filmmaker Matthew Heineman (CARTEL LAND), CITY OF GHOSTS is a singularly powerful cinematic experience that is sure to shake audiences to their core as it elevates the canon of one of the most talented documentary filmmakers working today. Captivating in its immediacy, CITY OF GHOSTS follows the journey of “Raqqa is Being Slaughtered Silently” — a handful of anonymous activists who banded together after their homeland was taken over by ISIS in 2014. With astonishing, deeply personal access, this is the story of a brave group of citizen journalists as they face the realities of life undercover, on the run, and in exile, risking their lives to stand up against one of the greatest evils in the world today.